Hairy brown seaweed growing on the side of a concrete dock, alongside barnacles and green algae. Photo by Julie Mundy. 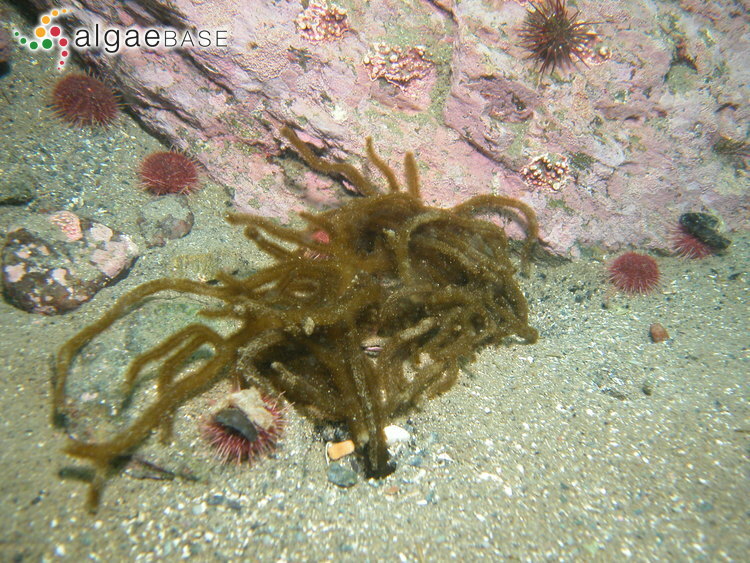 This brown seaweed has a soft, slimy texture and hairy appearance caused by hair-like filaments attached to the thallus, which is highly- and irregularly-branched. It grows to 50 cm long. Hairy brown seaweed grows on rock in the mid- to low intertidal and in tidepools. It is a spring annual, and is found on moderately protected shorelines from Kodiak Island, Alaska to Baja California, Mexico. 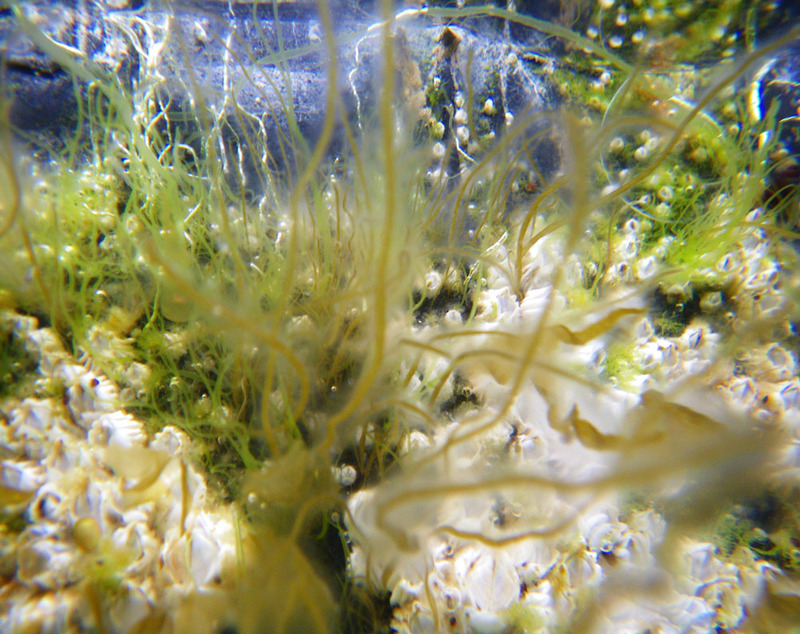 Haplogloia kuckuckii has been recorded on the BC coast, and is distinguished from H. andersonii by the presence of hair-like filaments on only the ends of the branches. While it is currently listed as a distinct species, H. kuckuckii and H. andersonii may actually be the same species. Guiry, M.D. & Guiry, G.M. (2016). Haplogloia andersonii (Farlow) Levring. AlgaeBase. National University of Ireland, Galway. Accessed 09/06/2016. Lindberg, M. and Lindstrom, S. (2010). Haplogloia andersonii Hairy Brown Seaweed. Seaweeds of Alaska. Accessed 09/06/2016.